This one-of-a-kind hat came straight out of the ReCraft side of the Retail Store! Timm and Travis put a very unique spin on this Comptetitor hat to get it ready for the sale wall. 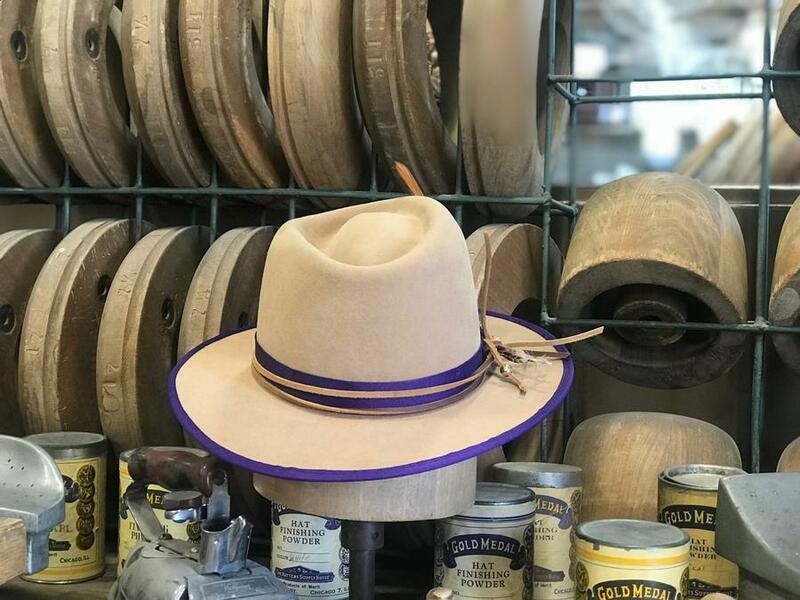 All our hats are made by hand in our Greeley, Colorado location. All our hats (shapes, designs, etc.) only show suggestions. The options and possibilities are endless. We are only limited by your budget and time frame. Feel free to mix and match. Take designs and shapes from Classic, Competitor, Beaver20, Beaver Blend, Pure Beaver, and Tycoon. Mix different crowns and brims. But, maybe your ready to look at the next tab. 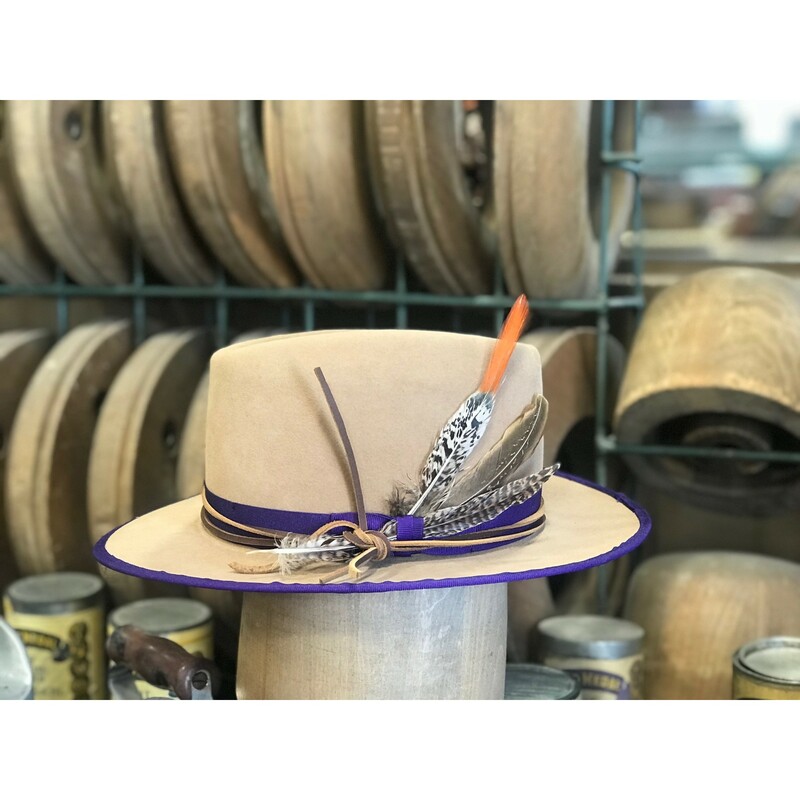 Decided that you like this hat, but want it with a different design or as a custom fit? We can do that! Just send us an email with your thoughts and we can put them into action. Secondly, we need 4 images of your head. One from the front, back, both sides, and an aerial view looking down at the top of your head. Once we have that information from you, we will be in contact to finalize your HATisfaction!